While NVIDIA now has the high-end GeForce GTX 1080 and GTX 1070 video cards, the mid-range solutions of the latest Pascal generation will only arrive after a few months. So the mid-ranged Maxwell cards still have some future. 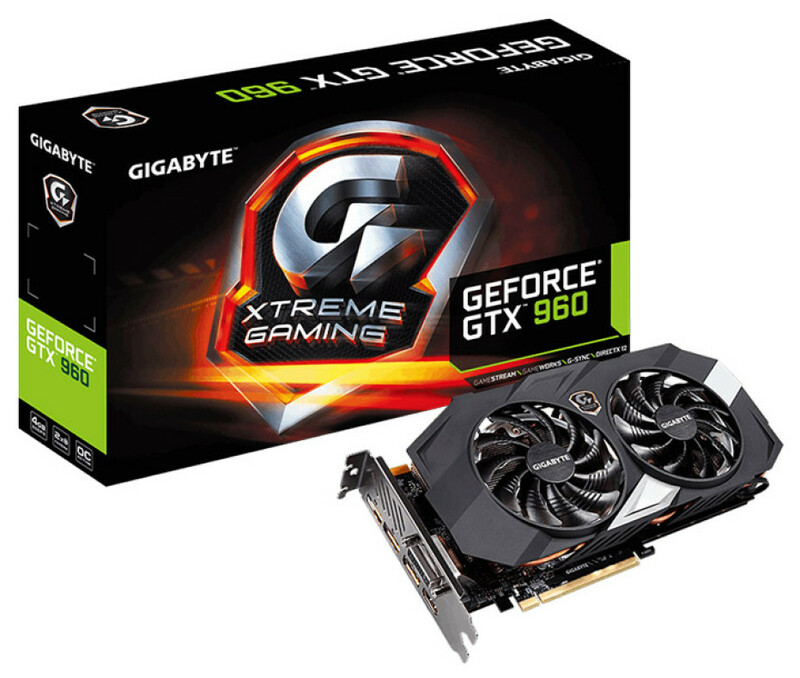 Knowing this, Gigabyte has released a new, factory-overclocked GeForce GTX 960 graphics card. The novelty is called GV-N960XtremeС-4GD and strongly resembles the already released GV-N960Xtreme-4GD model, differing only with its higher clock speeds. The new GV-N960XtremeС-4GD card runs its GPU at 1152 MHz (1216 MHz Turbo) and its memory at 7012 MHz in the so-called Gaming mode and at 1177 MHz (1241 MHz) for the GPU and 7012 MHz for the memory in the so-called OC mode. The remaining specs do not surprise – the Gigabyte GV-N960XtremeС-4GD features the well-known GM206 GPU with 1024 CUDA cores, a 128-bit memory bus, 4 GB of GDDR5 memory, a HDMI port, three DisplayPort 1.2 connectors and a single Dual-Link DVI-I connector. The card gets cooled by a massive cooler that includes two cooling fans and includes RGB LED lights. While all this looks nice, the new GTX 960 by Gigabyte needs a quality PSU – the card comes with one 6-pin power connector and another 8-pin one so make sure to have at least a 500W power supply unit before installing this card. The card is expected to sell for around EUR 250 in Europe.